Vous souvenez- vous du Bibendum Michelin? Ha, that's funny. He looks like he's smoking one of those hookah pipes. 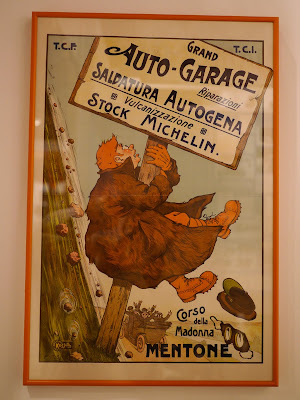 Interesting to see that the poster is written in italian language. He does look better than this on TV over here. Nice and rounded and white. He really does look like he is hooked to a hookah! 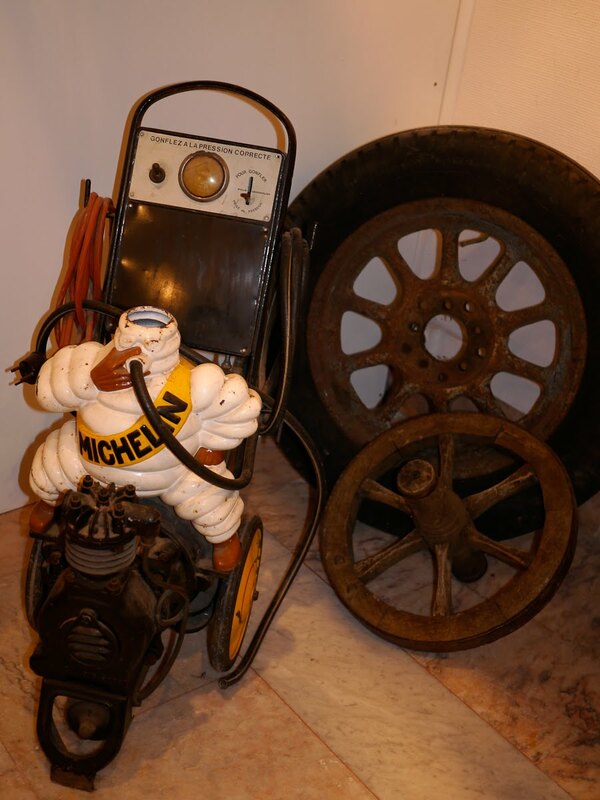 Of course we remember the Michelin tire man. We see him on commercials in the USA all the time. I think he is a relative of the Pillsbury Dough Boy. I believe his name is Bibendum and I remember him well. 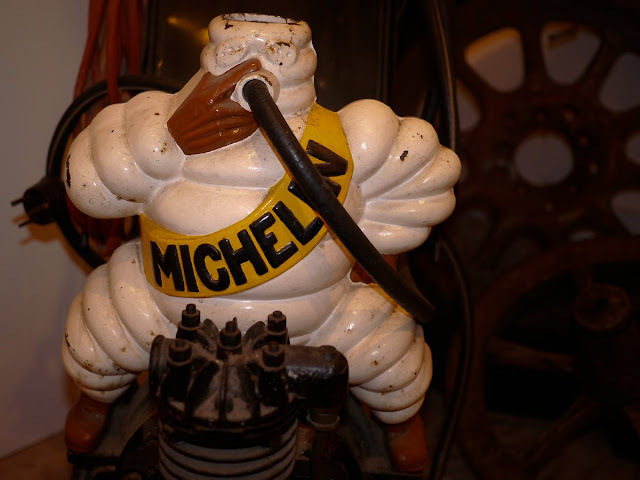 I also remember him as the Michelin man from tires. "Smoking" pollution doesn't look funny..